Solo: A Star Wars Story is polished and sleek, a fine demonstration of the well-oiled machine that is Disney. 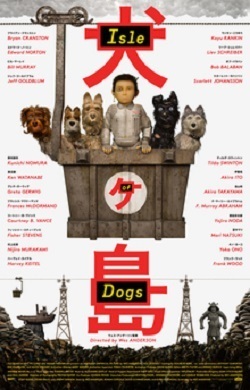 The cast is talented, the effects bright and shiny, the story exciting enough if a little too long. But I think Solo would have been so much better if it weren’t about Han Solo at all. Solo is amusing, but it doesn’t offer any substance. It’s just lightweight summer fare–superficial and forgettable. 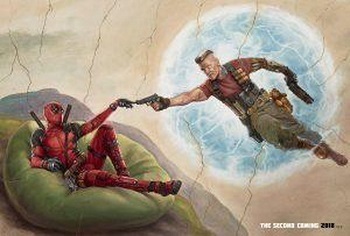 This is no sin for a summer movie, but as an addition to the Star Wars franchise it should offer something more. Solo: A Star Wars Story has nothing to emotionally invest in–and that is the fatal flaw. The core saga gives us characters we can care about–passionately. 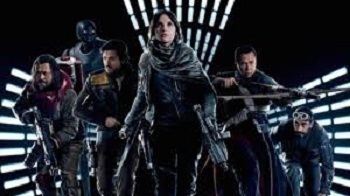 This second outing into A Star Wars Story-land can put on the trappings but lacks the foundations. 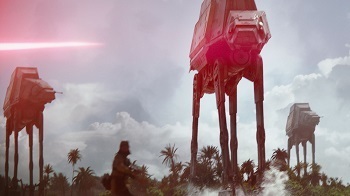 It’s too determined to show us all the references from the original trilogy. While it’s fun to see Han meet Chewie and Lando, the familiar scenes can’t carry the whole movie. The dialogue is often simplistic and obvious. And yet despite all the exposition, there is no insight into how Han Solo developed into the reluctant hero we know and love. We have only the overemphasized statement that he is a good guy. This shortcut reduces him to a cartoon cowboy and not much else. Solo largely suffers from the same problems that bothered me in Rogue One–good actors with far too little to work with. While entertaining in the moment, this is not a movie I will go back to. There is no emotional growth here–Solo’s Han is, was, and always has been. Why should we care about his backstory? Alden Ehrenreich is the younger Han, and he is genuinely likeable in the role. But he seems to be doing nothing more than a broad imitation of Harrison Ford’s smirk and swagger–and I know Ehrenreich is capable of better. 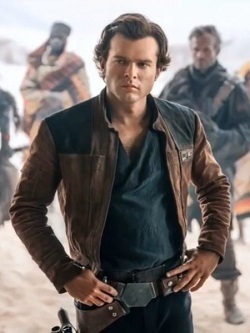 And while young Solo should resemble the older character, it’s really hard to watch Solo: A Star Wars Story and not wish they had just CGI’d in Harrison Ford. Emilia Clarke is also likeable as Qi’ra, but she fails to convey any heat with Solo or any cold calculation with Dryden Voss. She’s sweet, and we are told she is dangerous. Her threat just doesn’t come through. Lando Calrissian is a wasted character, for all Donald Glover’s suave moves. But Glover gets points for showing more emotional connection to Lando’s droid, L3, than Han does to Q’ira. Woody Harrelson’s good-natured performance as Beckett can’t save his character from being a straight-up plot device. It’s particularly galling when Beckett’s death is milked mercilessly to show that Han really is a good person, even when he shoots first. Paul Bettany as Dryden Voss is probably the most believable actor in the film. Bettany brings a certain convincingly dangerous psychopathy to his crime lord, and is lucky enough to simply be killed in combat. And Thandie Newton’s Val is a brief, pleasant surprise who is also allowed to die with her dignity intact. 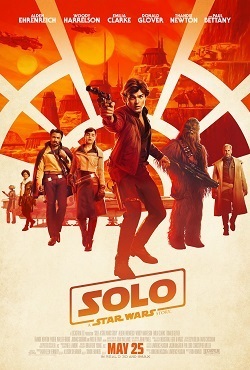 Solo: A Star Wars Story is ultimately, for me, an empty suit of a film that puts well-known characters through predictable paces with no payoff for either them or a nostalgic audience. Which is a shame. 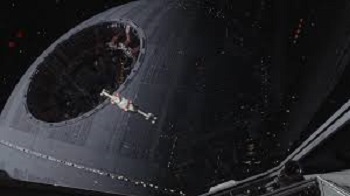 A New Hope, The Empire Strikes Back, and Return of the Jedi created many, many lifelong fans. Sixteen years later, the next trilogy introduced another generation of fans to the Star Wars universe. And now we have Episodes VII and VIII, with IX on the horizon, and maybe we should let the current generation become enamored of their trilogy in peace. So perhaps that’s the deeper meaning of Solo hidden in the gravity well: it’s time to finally let Luke, Leia, Han, and Obi Wan rest, and let the saga continue without constantly looking backward for slick, flashy, and forgettable content fill up space. Hammer Films: An Exhaustive Filmography by Tom Johnson and Deborah Del Vecchio delivers what it promises. 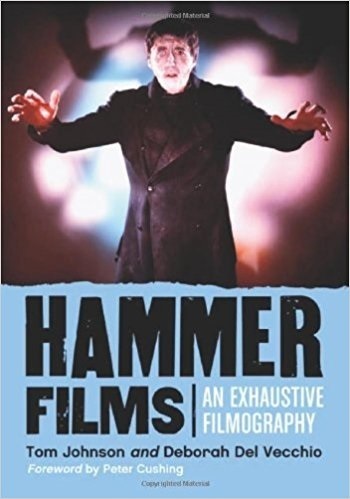 First published in 1996, this compendium details every film put out by Hammer studios–165 full length films over forty three years, as well as shorts and television shows. While there are a slew of related titles out there, Hammer Films: An Exhaustive Filmography stands out. The writing is workmanlike and occasionally repetitive as the authors strive to provide a thorough description of each film. But this is a labor of love, honest and earnest and more fun for it. Following a foreword by the late, great Peter Cushing, and a brief overview of the studio’s history, the authors delve into the real story of Hammer Films. Hammer began turning out movies in 1935, and, except for a pause for World War II, did not stop until the studio folded in 1978. Over the decades they made comedies, dramas, war dramas, and thrillers. 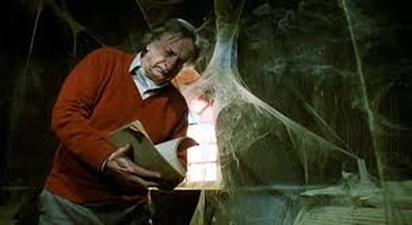 But in the fifties and sixties Hammer decided to focus its energies on monsters, space creatures, and supernatural threats to the point where, to this day, Hammer is synonymous with horror. Hammer is probably best known for reviving the Universal monsters–Dracula, Frankenstein, the Mummy, and the Wolfman–and turning Christopher Lee and Peter Cushing into international stars. 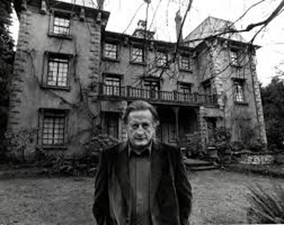 These films cemented the studio’s reputation for solid, well-made horror–which, unfortunately, Hammer took too far. Hammer also churned out an interminable number of questionable sequels to their blockbuster monster movies, losing quality and audience interest. Along with its horror mainstays, Hammer produced a number of iconic entries in the science fiction field. The Quartermass Xperiment, X–The Unknown, and Five Million Years to Earth all stand as classics of fifties alien-invasion movies. Hammer also branched out with a few monsters of their own invention, like The Gorgon, and Doctor Jekyll and Sister Hyde. They dabbled in the occult with chillers like The Devil Rides Out, and To the Devil…a Daughter. And they went for jungle adventure and stop motion dinosaurs with She, and One Million Years BC (which is legendary for Raquel Welch’s fur bikini, not the special effects). The authors present the films in chronological order, and include any posters, stills, or promotional shots they could get. Each entry contains the release date, length, filming location, producer, director, screenplay author, editor, photography director, and U.K. certificate rating, cast list, any other titles the film may have been released under, and a complete synopsis of the plot. Additional details and anecdotes are sprinkled in, such as the career arc of an actor, quirks with sets or props, or what the country’s mood was when a film was released. The authors also note how well a film was received, and where it fit in Hammer’s general business plan. Although the entries are formulaic, taken as a whole they provide a fascinating glimpse into both the personal and business workings of Hammer studios. The good, the bad, the groundbreaking, and the ill-conceived are all here, researched with a fan’s affection. There are far slicker, more polished books on Hammer out there, but Hammer Films: An Exhaustive Filmography has so much affection for its subject it should be a staple of any collection. 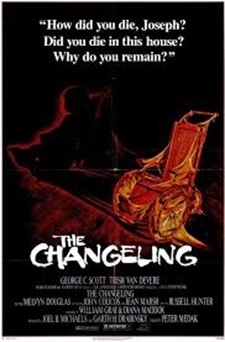 I understand the fondness; Hammer films are what I think of when I hear “old-school horror”, and I’m not alone in that. So keep your Freddy, Chucky, and Jason. I’ll take The Horror of Dracula any time. Let’s face it: Avengers: Infinity War does not need a review. 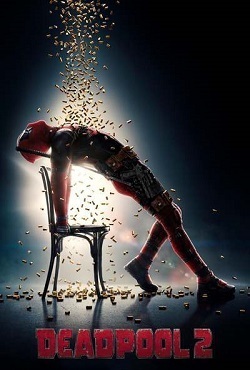 It’s been out for over a week, the fans (and the box office numbers) have spoken, and anyone who has yet to see this juggernaut should already have a pretty good idea of what to expect. So instead I present a few observations for your reading pleasure. Disclaimer: I have no investment in canon. I’m not much of comic reader and I have only seen about half of the Marvel Comics Universe movies out there. My concern about Avengers:Infinity War is only that it be internally consistent and consistent with the rest of the MCU. Oh, and entertaining in a huge, summer-movie way. And, of course, it is. Mostly. As grand mash-ups go, Avengers:Infinity War keeps things moving. I appreciate how it begins in medias res by assuming the audience already knows who the players are and how they all connect, skipping a too-long recap of everyone’s backstory (I’m looking at you, Justice League). At two and a half hours, pausing for exposition would derail the momentum entirely. The action rarely stops, but the mayhem is interspersed with enough flashes of character development to keep it from being just a CGI slugfest. Speaking of action, my favorite part of the brutal opening battle is Loki’s scathing curse, “You will never be a god”. Speaking of character development, I appreciate the completely believable fondness Tony Stark has for Peter Parker, built over time, which makes Spidey’s dissolution doubly awful. 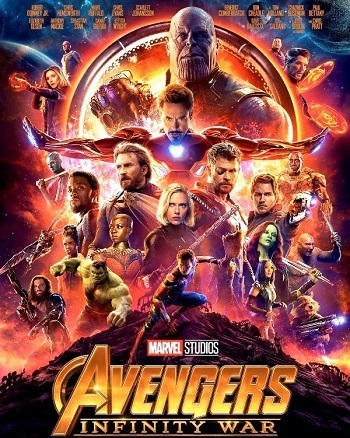 I also appreciate that Thanos is written as a character in his own right, rather than being just a huge computer-generated monster. Josh Brolin does a terrific job of showing the layers to Thanos’s monomania. I think the Guardians of the Galaxy are poorly used in Avengers: Infinity War. Not wasted–they are too integral to the plot–but at key points they are reduced from fully developed characters into plot devices. For instance, I think Gamora’s caving in is out of character. I understand her pain at seeing Nebula being tortured, but her weak attempt to run away when Thanos is about to sacrifice her seems–off. I didn’t buy the big reveal that Thanos loves her as strong enough to override her decision to die to keep the stone out of his grasp. In a similar fashion, I didn’t buy Nebula simply standing by as Quill wrecks the attempt to take Thanos’s gauntlet away. Yes, she had a very hard day, but the Nebula we have seen up to this point is so laser-focused on taking down Thanos she should have smacked Quill into submission before he could screw things up. And let’s face it, it’s obvious that the heroes killed in Avengers: Infinity War will be back, since we know the sequel schedule. So while there is some shock value to seeing the good guys die and Thanos getting to watch his sunset, the ending leaves far less of an impact than it promised. Please, please, please let Pepper Potts be dead. Gwyneth Paltrow is so annoying. I just have to assume that Doctor Strange decided to turn over the time stone to get to the one of the 14 million possible futures where everything turns out all right. Why was the Hulk even here? Mark Ruffalo had to have had nothing better to do. Thor and Rocket are a remarkably good pairing. I would totally watch a spin-off about them. In the second installment of Avengers: Infinity War, Nebula deserves the kill shot. She has more than earned it. This plotline may be the last best hope to bring Marvel Zombies to the big screen. Who’s with me? Agree? Disagree? Think I missed the point entirely? Let me know in the comments.